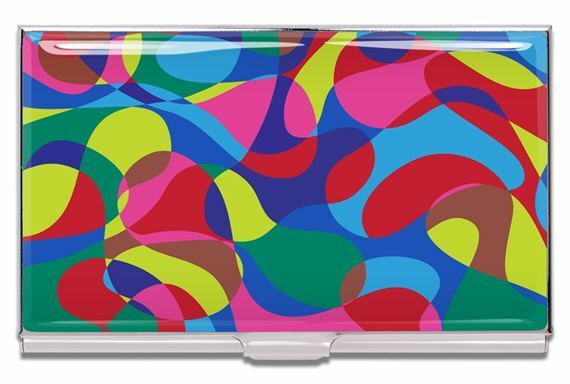 Order your ACME Karim Rashid Designed Blobnik Card Case today from FahrneysPens.com. Fine Pens, Refills & Luxurious Gifts – great prices & fast shipping. ACME Studio puts the work of noted designers into your hands with a fascinating collection of pens and accessories. We think the lively, bright 'Blobnik' design is just right for spring and summer! The pattern is by Karim Rashid, a leading figure in affordable, contemporary product designs for the home. The Blobnik pattern is screen printed on the steel card case, layered with clear lacquer and trimmed in silver plate. Matching Blobnik eyeglass case and pens are also available.